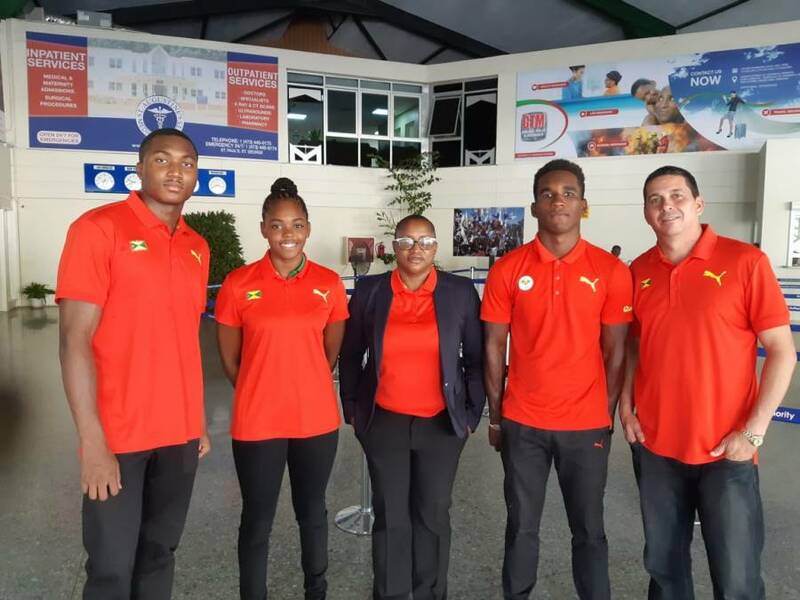 Three of Grenada’s top National Swimmers Delron Felix, Dajenel Williams, and Kimberely Ince left the island on 6 December to participate in the 14th FINA Worlds Swimming Championship scheduled for 11-16 December 2018 in Hangzhou China. Coach Gerson Escobar and GASA’s President Peron Johnson who will also serve as Team Manager accompanied the swimmers. Each swimmer will be competing in 2 events: Delron Felix in the 50 and 100-meter freestyle, Williams in the 50 and 100-meter butterfly, while the youngest and lone female swimmer Kimberly Ince will compete in the 50 and 100-meter backstroke. Grenada is optimistic that the team, which has been performing consistently well at several regional and international meets, will proudly represent Grenada at these games. Over 200 federations will be participating at the Championships from the 7 continents. While in China, GASA’s President will also attend the 14th FINA World Congress and Convention and the Union Americana De Natacion (UANA) Extraordinary Congress. All 3 swimmers competing at the FINA Worlds in China have all competed exceptionally well at the recently completed CCCAN, Carifta and OECS Swimming Championships. In 2017 Kimberly Ince was awarded top Female Swimmers of the Year while Delron Felix was awarded top Male Swimmer. The Grenada Amateur Swimming Association extends best wishes to all our swimmers and looks forward to their continued high level of performance.